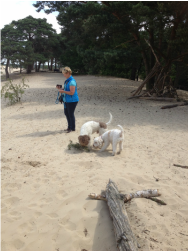 Towards the end of June several of the LRA Committee ventured onto the roads of Europe to visit the Lagotto Romagnolo Club of the Netherlands which was holding a breed weekend and show. The weather was glorious all weekend. 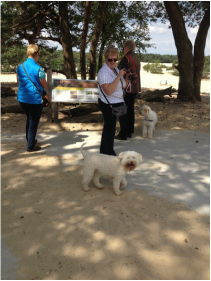 After a lazy start to Saturday, good friends took us for a walk to an amazing area in the middle of Holland that is entirely sand dunes surrounded by woods. Apart from the lack of water (which totally confused the dogs) we could have been in the Caribbean. Then we had a lovely lunch in a hostelry. Bliss. 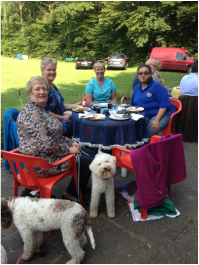 Then there was an very enjoyable BBQ in the late afternoon where we made good friends with Lagotto owners from 9 other countries, followed by a breed talk by Prof Morsiani (see below for synopsis). Prof Morsiani’s father, Dr Antonio Morsiani, was responsible along with a few other Italian breeders including Gilberto Grandi for rescuing the breed from near extinction in the 1970’s. Nobody knows better than he what exactly a Lagotto is. On Sunday, the sun shone on 80 Lagottos and their owners. Judging took all day because Prof Morsiani not only dictated the required detailed critique on each and every dog but also took the time at the end of each class to explain his top 4 placings and the relative merits of each of those dogs. The quality of dogs present was superb, with most being graded “excellent” (as were all 4 UK dogs) with very few being graded “very good”. We learned so much and made forever friends. 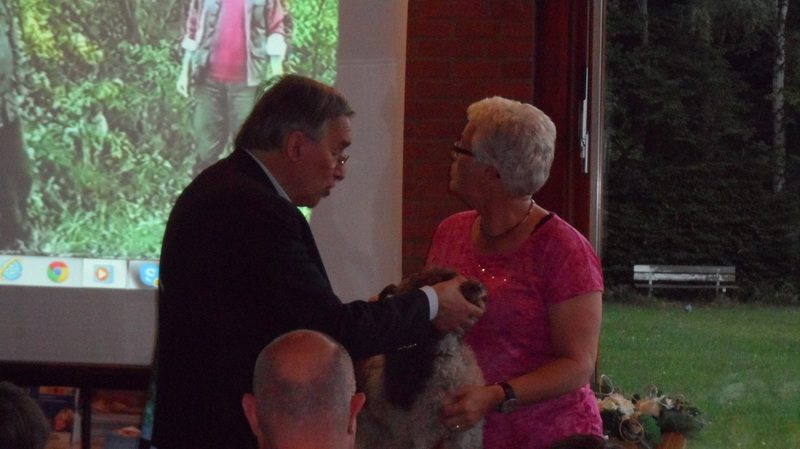 For those of you that have never had the privilege of listening to Prof Giovanni Morsiani explain the origins and morphology of the Lagotto Romagnolo breed, here is just a brief synopsis of his talk, delivered at the Lagotto Romagnolo Club of the Netherlands Clubmatch recently.